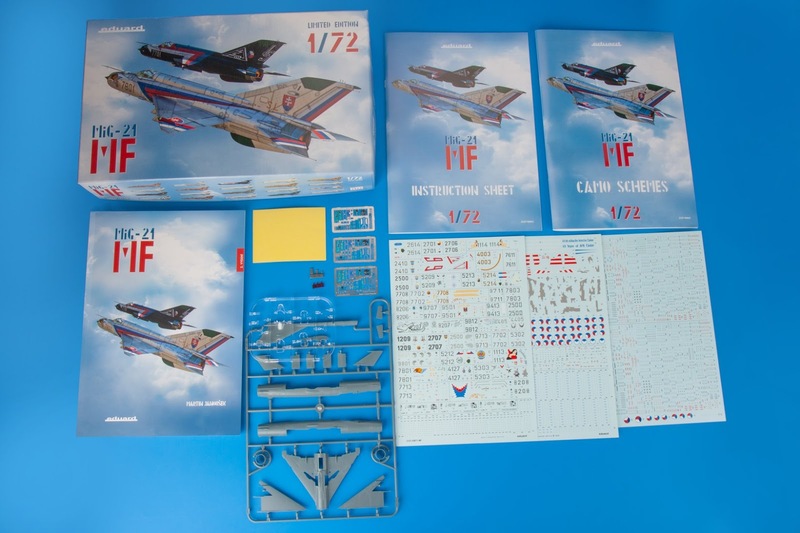 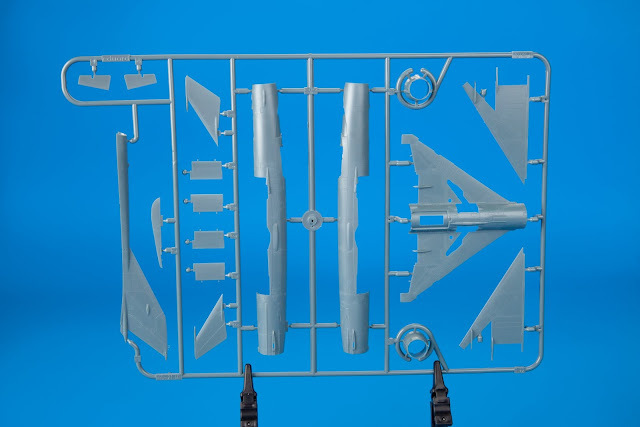 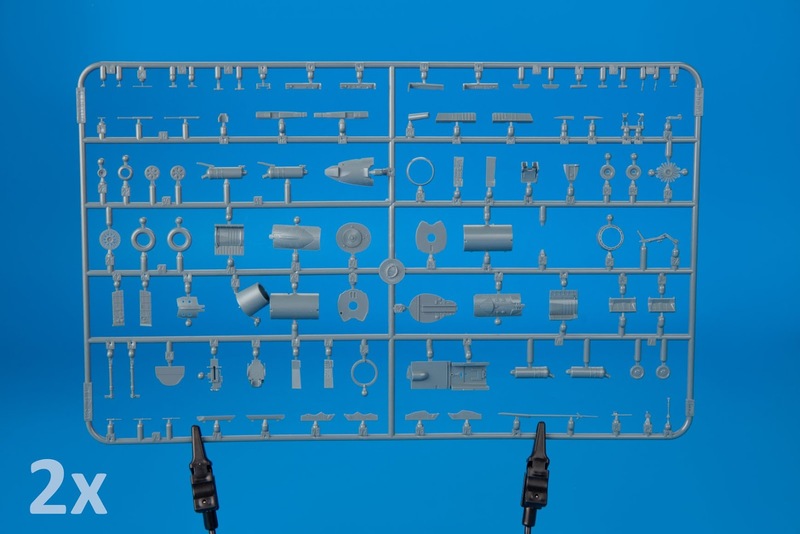 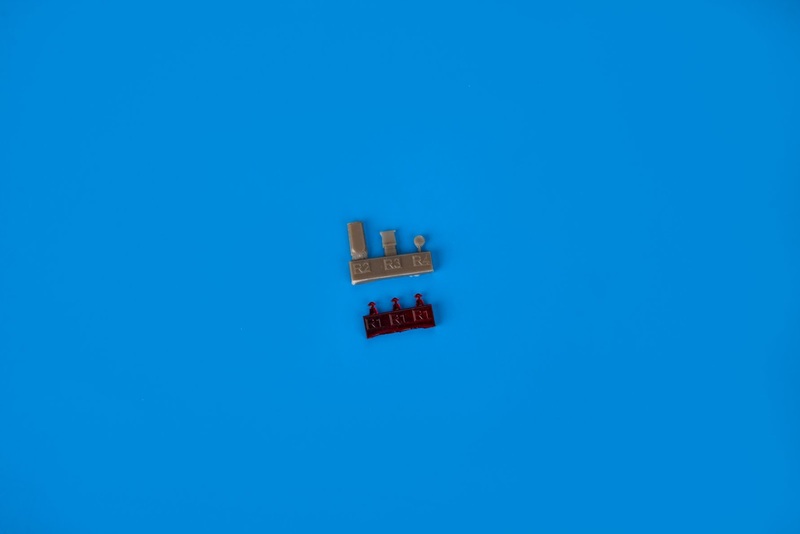 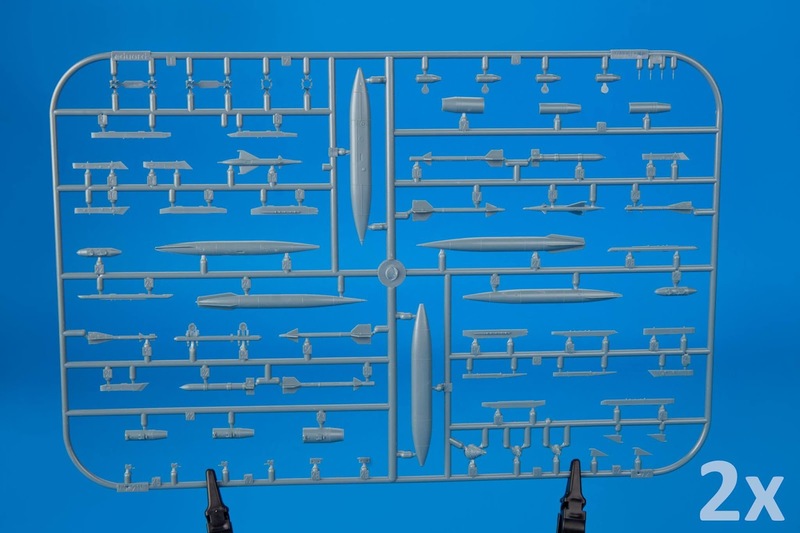 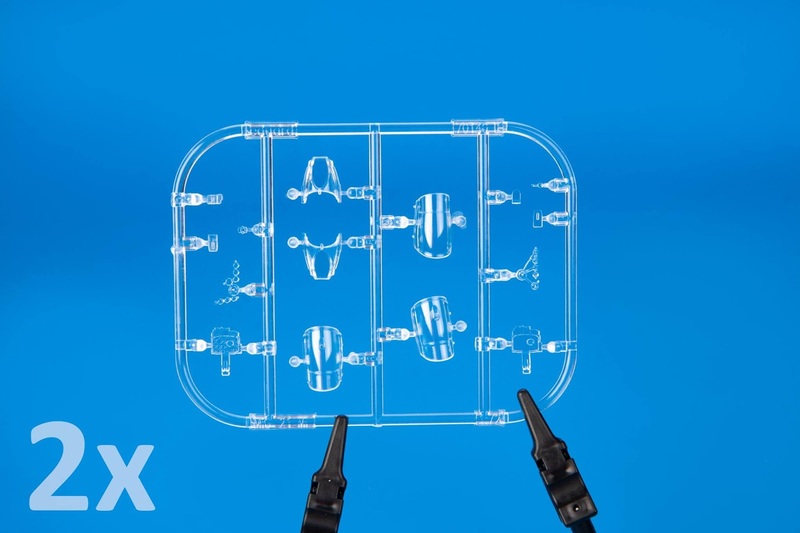 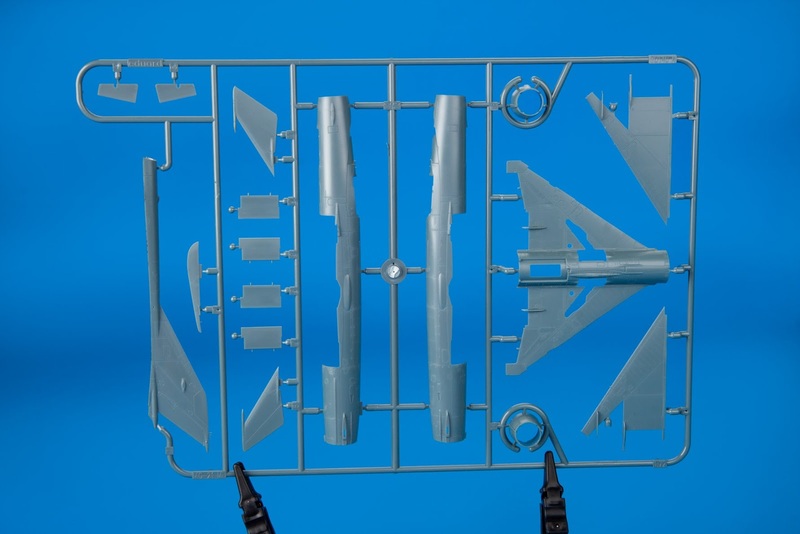 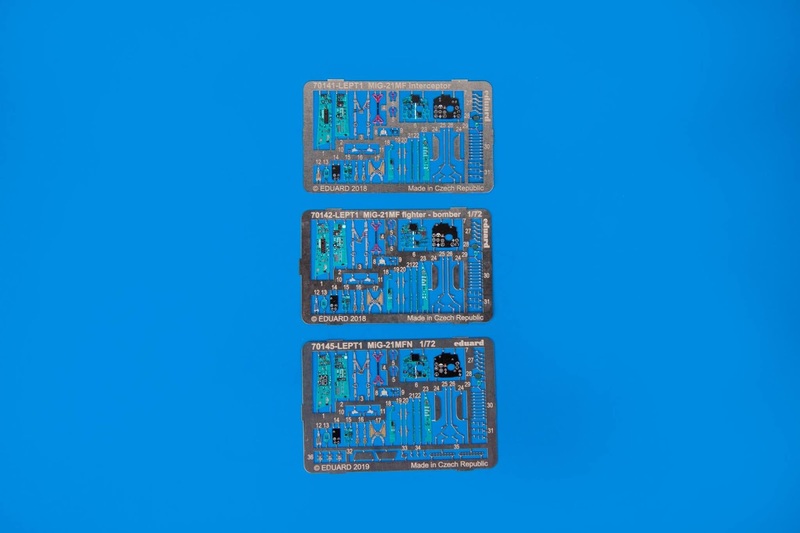 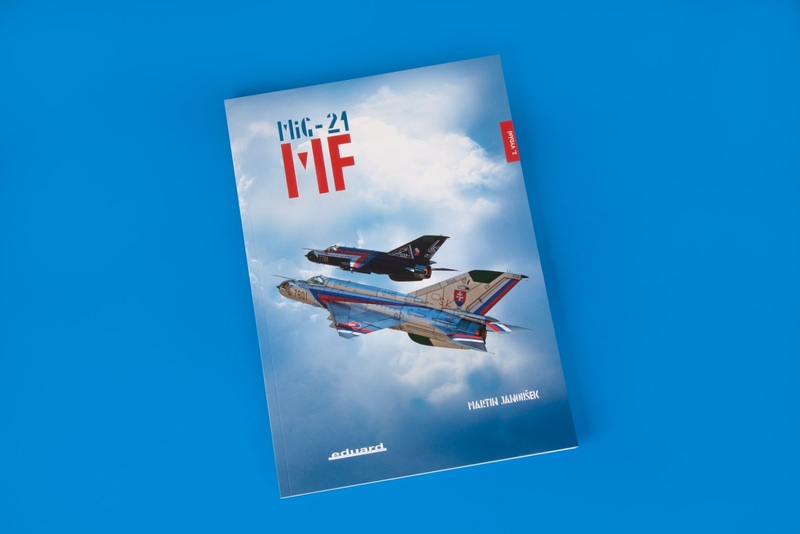 Limited Edition kit of the MiG-21MF in 1/72 scale contains parts for two complete models - MiG-21MF Interceptor and MiG-21MF Fighter Bomber. 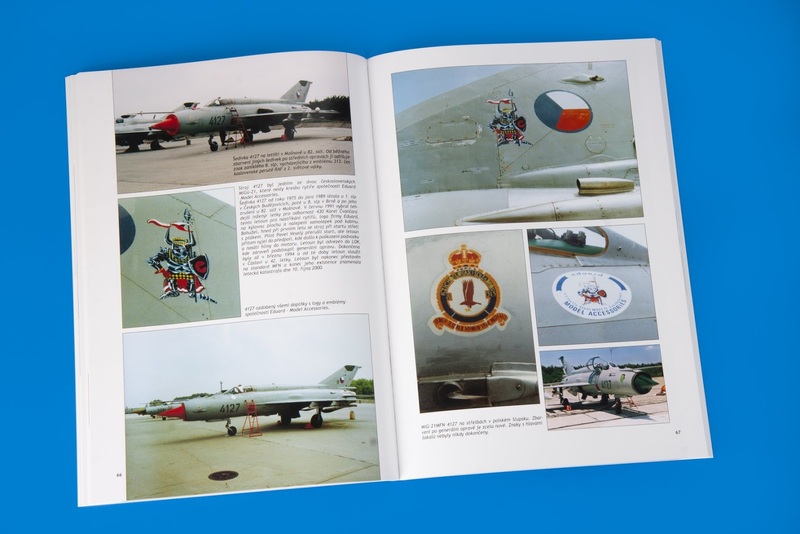 The choice of 39 markings covers a period between 1972 and 2005. 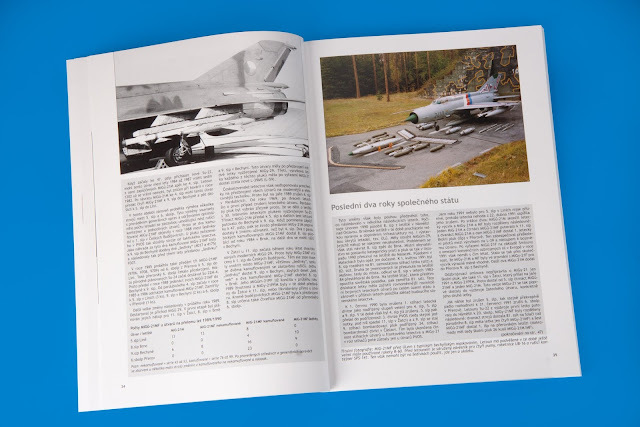 It includes the most attractive colour schemes of MiGs that were in service with the Czechoslovak and Czech Air Forces. 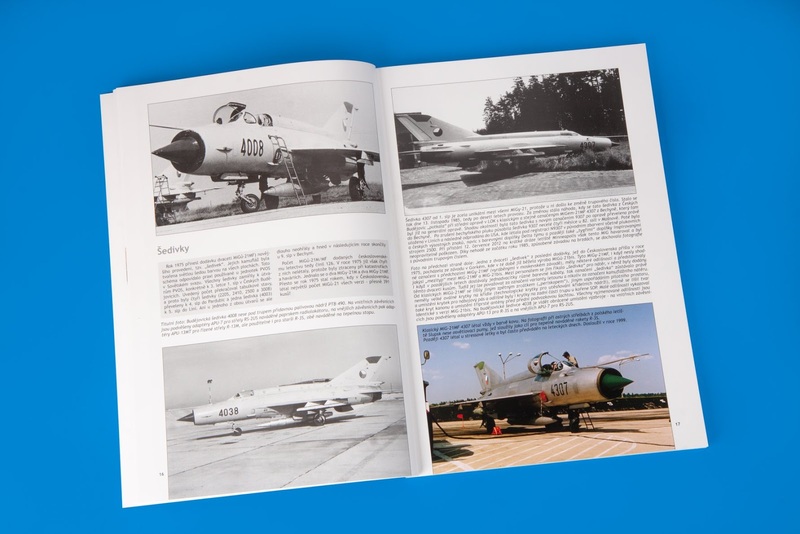 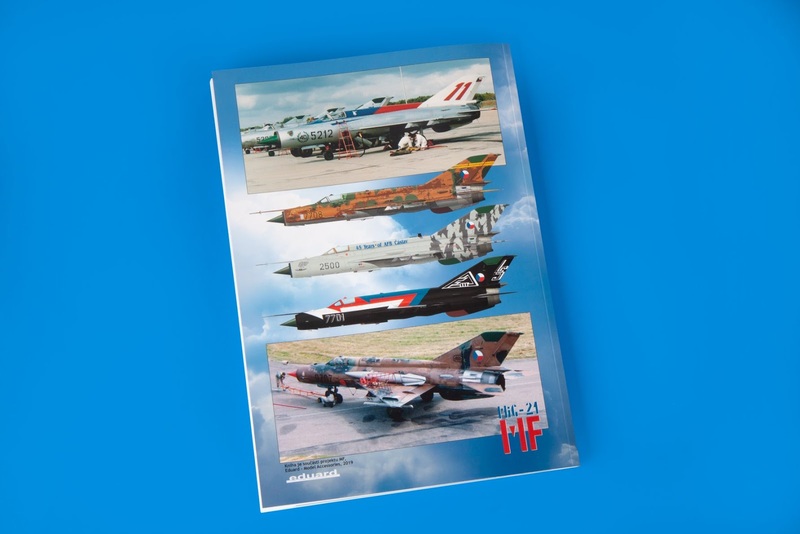 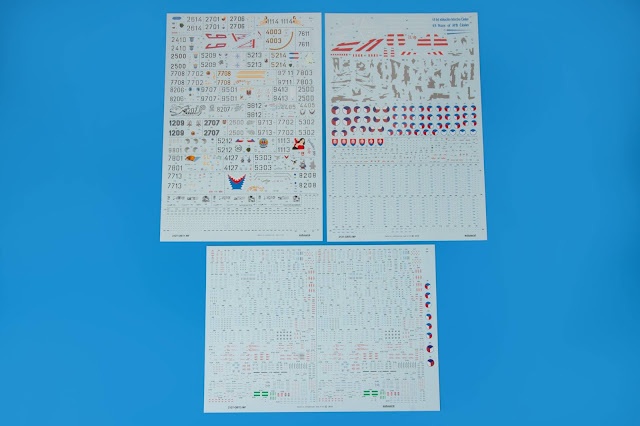 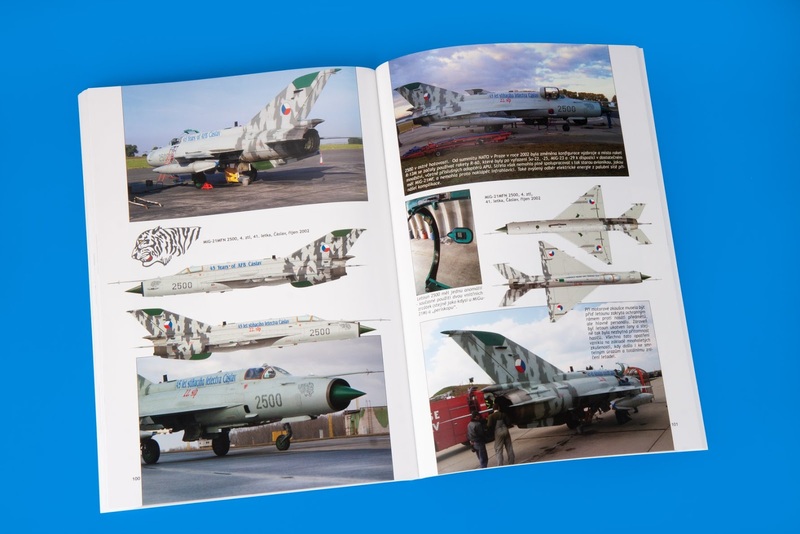 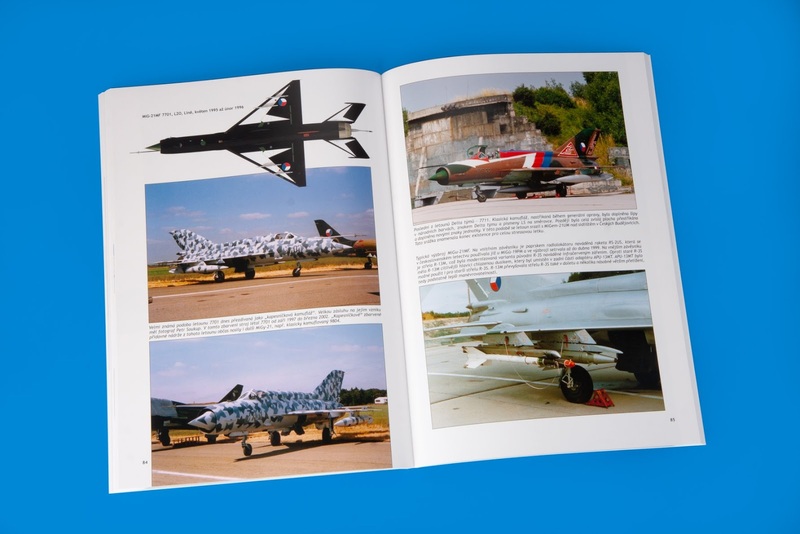 A history of their service in the Czechoslovak, Czech and Slovak Air Forces is illustrated by a full-colour 128-page pictorial publication, which is a part of the kit. 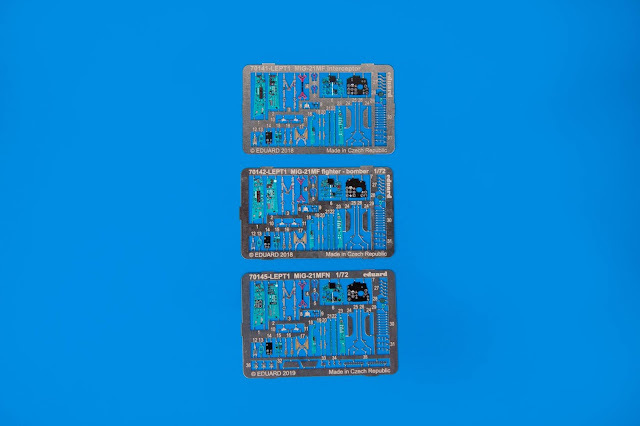 - extras: a pictorial book (English translation available for download in pdf format on the product page).